The southern half of Transcanada’s Keystone XL tar sands pipeline is supposed to begin pumping up to 700,000 barrels of diluted bitumen per day through the Cushing, OK to Port Arthur, TX route within weeks. But is it ready to operate safely? In conducting its investigative report, “Construction Problems Raise Questions About the Integrity of the Pipeline,” Public Citizen worked on the ground to examine 250 miles of the 485 mile pipeline’s route. The group and its citizen sources uncovered over 125 anomalies in that half of the line alone. These findings moved Public Citizen to conclude the southern half of the pipeline shouldn’t begin service until the anomalies are taken care of, and ponders if the issues can ever be resolved sufficiently. After President Barack Obama temporarily denied a permit for Keystone XL’s northern half in January 2012, the U.S. Army Corps of Engineers granted Keystone XL’s south half a legally dubious Nationwide Permit 12 to expedite construction. Soon after, President Obama issued his own Executive Order in March 2012 calling for the expedited building of the south half in de facto support of the Corps’ permit. 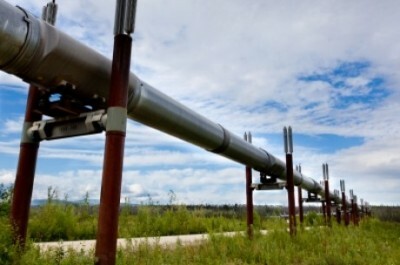 An August report by industry intelligence firm Genscape said the pipeline, rebranded by Transcanada as the “Gulf Coast Project,” will ship tar sands dilbit through the line beginning in the first quarter of 2014. Now, the race to build the south half literally looks like it could come with major costs and consequences. The photos below of Keystone XL southern half’s anomalies mostly speak for themselves, though Public Citizen’s report gives them the extra context they deserve. Public Citizen has placed additional photos up on Flickr. Close up of section of Keystone XL southern half’s pipe marked “junk” by TransCanada. “Public Citizen…calls on Congress to hold oversight hearings to ensure that PHMSA investigates the anomalies [and] conducts a quality assurance review,” the report says. “The government should investigate, and shouldn’t let crude flow until that is done,” Tom Smith, Director of Public Citizen’s Texas office said in a press statement. “Given the stakes – the potential for a catastrophic spill of hazardous crude along a pipeline that traverses hundreds of streams and rivers and comes within a few miles of some towns and cities – it would be irresponsible to allow the pipeline to start operating.